Coffee House Press, 9781566895156, 152pp. In the outskirts of Buenos Aires in 1907, a doctor becomes involved in a misguided experiment that investigates the threshold between life and death. One hundred years later, a celebrated artist goes to extremes in search of aesthetic transformation, turning himself into an art object. How far are we willing to go, Larraquy asks, in pursuit of transcendence? 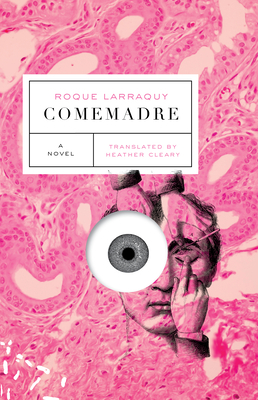 The world of Comemadre is full of vulgarity, excess, and discomfort: strange ants that form almost perfect circles, missing body parts, obsessive love affairs, and man-eating plants. Darkly funny, smart, and engrossing, here the monstrous is not alien, but the consquence of our relentless pursuit of collective and personal progress.